Karralea List, founder and CEO of The Decor Group NKY.. They are industries dominated by men in both their workforce and executive ranks. But despite the gender imbalance, these four women spotted an opportunity and went after it. Heather Montgomery (center), COO, Airframes Alaska. In Alaska, the popularity of small private planes has spawned a massive industry. It's an industry Heather Montgomery knew nothing about when she joined Airframes Alaska -- one of the state's biggest manufacturer of small aircraft parts -- three years ago. "I was the executive director at a senior center in Alaska before I came on board," she said. Montgomery was hired as an accountant -- the first woman to work there and the company's ninth employee. "I prepared myself mentally for what to expect. I even remember a speech from the owner letting the men there know that certain things would not be appropriate around me," she said. She kept her head down, applied her skills and quickly learned the ropes. When the company made an acquisition, Montgomery was a central player. "I was highly motivated to grow," she said. "I learned every aspect of the company, from the fabrication of the parts all the way up to management." The strategy worked. She became COO within eight months. She credits her Alaska upbringing for her grit. "I was raised in a little log cabin without running water or even electricity at times. We had nothing but firewood from trees that we chopped down ourselves." 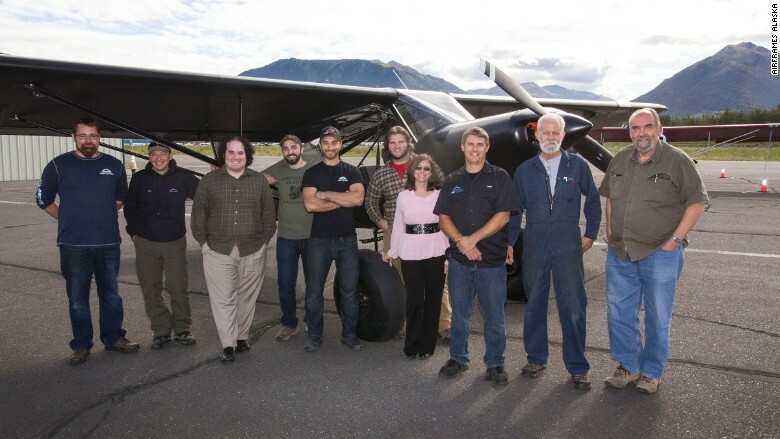 Airframes Alaska now has 40 employees, still mostly men. "Being a woman in a male-dominated industry allows for the opportunity to provide a fresh look at the business, which can be empowering," said Montgomery. Groundskeeping: "I was asked why a girl needs a pickup truck." 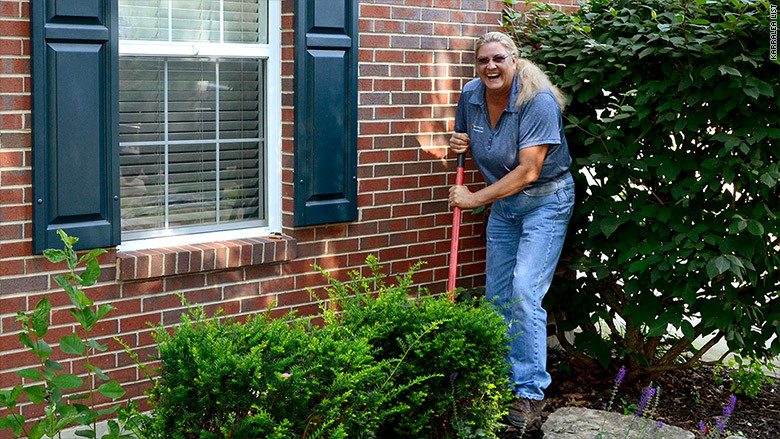 Karralea List gets two very different responses from men and women who see her landscaping. "Women ask me how I do this every day because it's hard physical work," said List. "Men see me on the back of a lawnmower and say, 'You're a girl. What are you doing on that?'" List had no experience in landscaping before launching The Decor Group NKY in 1999. Previously, she had worked at a casino and a thoroughbred breeding farm. "I came home one day and knew I needed a change," said List. So she hopped on her lawnmower and cut grass while she pondered her next career move. Two hours later, it hit her. "This is it. I loved being outside and getting my hands dirty," she said. She recruited her husband as her first employee and grew her Hebron, Kentucky, business to a full-time venture in four years. "The two of us did everything: mowing grass, landscaping, moving dirt," said List. She also spent time in the library and at plant nurseries educating herself about the business. The business (which is profitable) generates almost $1 million a year and has 14 employees. But success hasn't come without setbacks: She was rejected for a bank loan to buy a truck. "I was asked why a girl needs a pickup truck," she said. "I was told many times that a woman can't make it in this field," said List. "I ignored the naysayers. Women can do things bigger and better if we work hard and enjoy what we're doing." 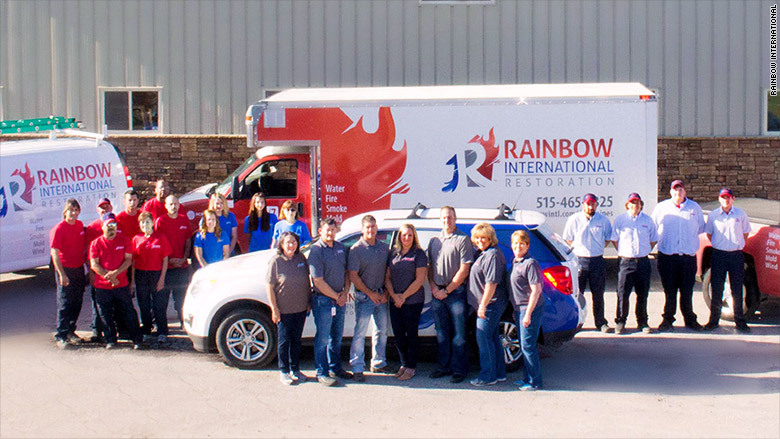 Shelley Barck (center), owner, Rainbow International Restoration. Shelley Barck was used to working around men after a stint at a manufacturing firm where she was one just a handful of women. The experience came in handy when she and her husband bought a cleanup and restoration business in Perry, Iowa, nine years ago. They launched the business in their garage. "We did all the work, cleaning, storage and rebuilding," she said. Barck also became certified in water damage restoration. "When a woman is working in a male-dominated industry and a man calls in to get answers about a project, it's natural of them to want to talk to another man," said Barck. "It was very important for me to know all aspects of the company to truly be accepted by all our customers and answer their questions." The business, which logged $2 million in sales last year, has 25 employees today, including seven women. "Many of them are in the field doing the hard work with the men," Barck said. Tricia Costello [right] with her sister Kay Dalton. The trade show industry is something of a boy's club. But that hasn't stopped Tricia Costello from breaking in. "Big companies put a lot of money into trade shows. So there's a lot on the line for them," said Costello. "For a woman to break into this industry, she has to be tough and prove to her clients that she and her team can manage all the details and execute properly." A lot of trade show work involves muscle: getting your hands dirty with construction and heavy lifting. And that's why most big exhibit companies are male dominated, said Costello. None of that mattered to Costello, who had her first taste of event planning when she was a student. "I was a junior in college and helped with events tied to the Academy Awards. I loved it," she said. With her sister, Costello cofounded Fresh Wata in Las Vegas in 1999. The company offers full-service planning and production for large events, including everything from building exhibits for trade shows to conceptualizing events for corporations. One of Costello's early projects included a reception for Dell founder Michael Dell at the Four Seasons in Las Vegas. Other clients include Univision (UVN), Visa (V), Sprint (S)and Netflix (NFLX). Today, Fresh Wata has 28 employees and generates $10 million in annual sales.